I am a tenant in lower Nob Hill. My building is more than 50 years old. I live in a studio apartment that I signed a six month lease for in July of 2011. The apartment came sparsely furnished with a futon bed (now removed because it was broken), a T.V./bookcase wooden thing that probably dates back to the 70’s and a small table that is filthy, stained and ewwwwww. I want to remove the furniture and move my own in. I wasn’t sure about how long I would be here, so the sorta furnished deal was appealing at the time I moved in. Now that I know I will be here a few more years, I’d like to bring my stuff, which I had had stored when I moved. The furniture that is already in the apartment is not worth anything. In fact, Goodwill and DAV have said that they will not take it because it is in too rough of shape. The landlord has threatened me with lawsuits and eviction, stating that to move furniture out would be a “serious crime.” I have assured him that I will leave the apartment in better condition than what it was rented to me, but I was set on getting rid of the useless furniture. The first place to look to resolve, or at least understand how to deal with issues like this, is your lease. Check it carefully to see if it defines your obligations with respect to the firewood in your apartment. Look for specific clauses regarding the furnishings. Then read more general clauses that limit or prohibit alterations and repairs to the unit. Read the lease as broadly as possible to see if any language that could be applied to removing the furniture could be used to evict you for breach of contract. Given his absurd claim that removing the furniture would be a “serious crime,” your landlord (or his lawyer) will be reading the lease the same way. 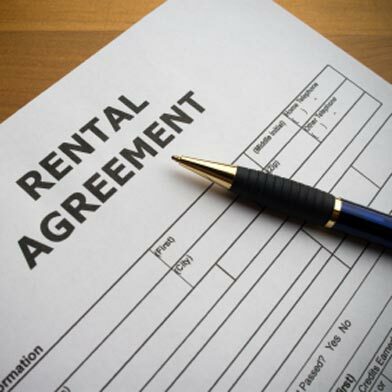 Make sure the landlord cannot evict you for breach of the lease. Next, make sure that the table isn’t a Federal inlay mahogany card table made by John and Thomas Seymour for which the landlord paid $30.00 but is now valued at $400,000 or that the T.V. bookcase thing isn’t an original Stickley. Then take lots of photos of the furniture before you toss it. The photos should be so detailed that one can almost smell the 70s. Ewwwwww!